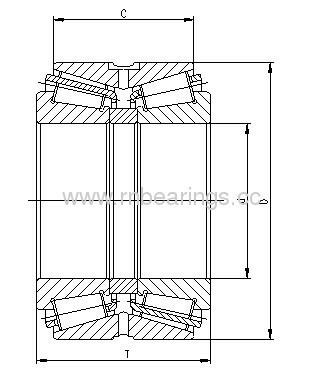 The configuration of the TDO provides a wide effective bearing spread, making it ideal for applications in which over turning momentsare a significant load component. TDO bearings can beused infixed positions or allowed to float in the housing bore. Double cup and two single cones, with or without a spacer. 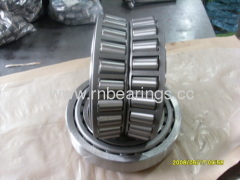 When spacers are used, bearing is furnished as a preset, matched assembly. Cup features groove and lubrication holes in the OD. Spacers available with or without lubricant grooves and holes.